The Andy Warhol Museum, located on the North Shore of Pittsburgh, Pennsylvania, is the largest museum in the United States dedicated to a single artist. 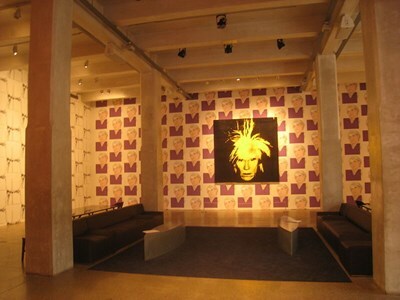 It holds an extensive permanent collection of art and archives from the Pittsburgh-born pop art icon Andy Warhol. The Andy Warhol Museum is one of the four Carnegie Museums of Pittsburgh and is a collaborative project of the Carnegie Institute, the Dia Art Foundation and The Andy Warhol Foundation for the Visual Arts (AWFVA). This description uses material from the Wikipedia article on The Andy Warhol Museum and is licensed under the Creative Commons Attribution-ShareAlike License (view authors).